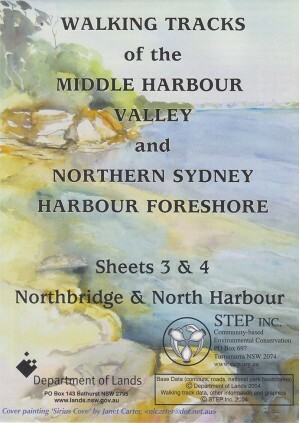 The full-colour, double-sided map is of the southern section of the Middle Harbour Valley, from Northbridge to North Harbour. It shows bush tracks, cycleways and fire trails with connecting streets and access points. It is an excellent references and suitable for all users, from the occasional suburban stroller to the dedicated bushwalker. At a scale of 1 cm to 100 m (1:10 000) the level of detail is ideal for anyone wanting to explore the bush with beautiful colour photographs illustrating places of interest.